This wall graphic fitted at the Infinity Beauty salon in Hathern, Leicestershire, perfectly compliments their branding with it’s soft and subtle colours. The perspective of the image invokes a feeling of space and ‘opens up’ the room. 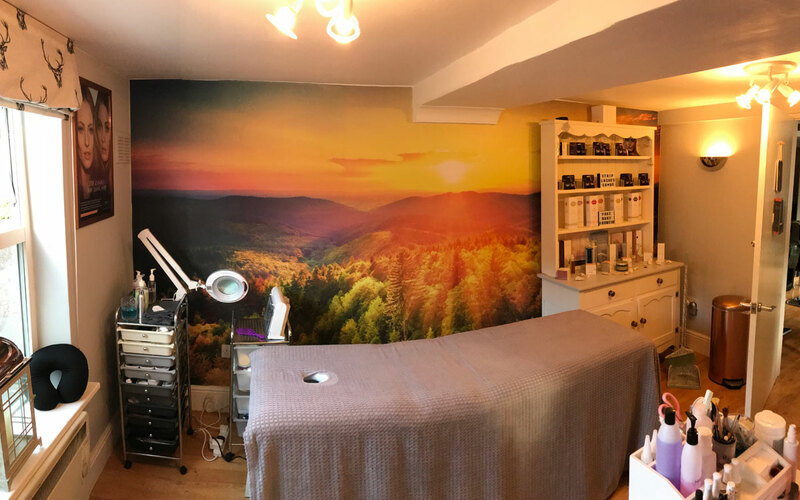 The large image fitted across the whole wall creates a calm and relaxing area for customers visiting the salon for beauty treatments. A wall graphic can make a big difference to any workspace. Walking across the Brooklyn Bridge was one of the things we enjoyed most when visiting New York. As well as creating a focal point, the image creates a view that is uplifting and makes our office feel more spacious and open. 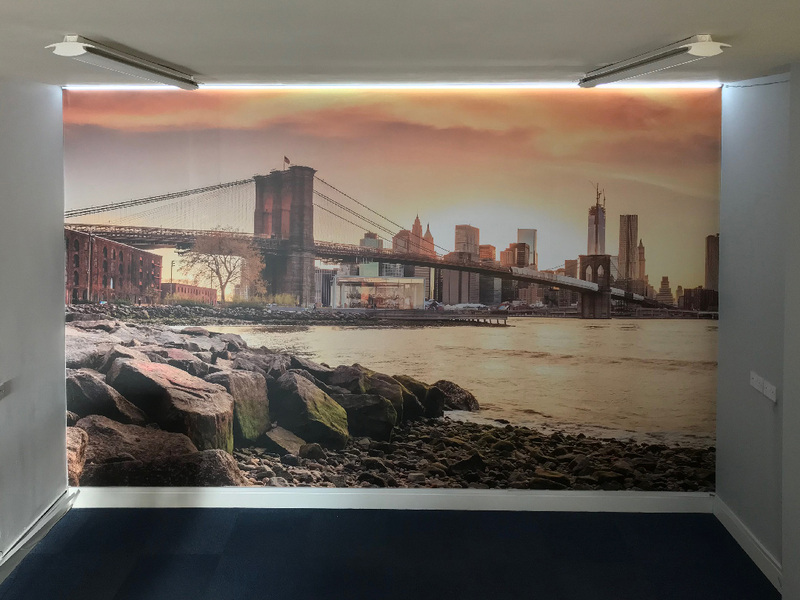 We selected an image with colours that compliment our branding and the LED lights along the top of the wall create a lovely glow and enhance the image, they also offer an alternative to the main overhead lights.